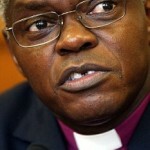 In an interview to mark Black History Month Archbishop John Sentamu of York told young black people not to blame racism for their problems and criticised African nations for the role they have played in the underdevelopment of Africa; it was in general a misguided speech which appeases British state racism and corrupt British foreign policy in Africa. To mark Black History Month, Archbishop of York Dr John Sentamu sent a message to young black people telling them not to blame racism for their problems. He also criticised African countries for corruption and greed, accusing them of blaming former colonial powers for problems they themselves have caused. One must wonder if Dr Sentamu is aware of or read the Equality and Human Rights Commission (EHRC) report a few days ago which revealed a Britain divided by race inequality? (Read New equality report reveals a racially unequal Britain) Or The House of Commons Home Affairs Committee report titled, “Young Black People and the Criminal Justice System” (2006-2007), which indicated that prisons and young offenders institutions were filled with young black people disproportionately because of racism in the criminal justice system? For Dr Sentamu to deliver such a misguided and irresponsible message to young black people was shocking considering that he has a history of fighting for racial injustice in the church and in public. Yes, parts of Dr Sentamu’s message had a point regarding parents letting down their children and the fact that young black people need to focus themselves on getting an education. Yes he had a point in telling young black people not to wait for success to come to them but to be proactive in creating their own success, but he seems to have ignored the facts that racism has played a huge role in why so many young black people do not reach their potential in British society. Blame should be apportioned but not at the expense that young black people give up on achieving their dreams and goals. If world leaders use violence, murder and force to achieve their goals why should young people be told different. Dr Sentamu also spoke about how African leaders were also responsible for the lack of economic and social development in Africa, and he is right only to a degree that corrupt African leaders, often supported by the West have let their nation and the African continent down. Dr Sentamu ignores the fact that British foreign policy is responsible for much of the mess in its former colonies. Things are not as clear cut as Dr Sentamu puts it, if African leaders were progressive there is no doubt that in line with past and present tradition the British secret service would play a role in destabilising that leader and removing that leader from power. Dr Sentamu would have been better off condemning British state racism as a barrier to human progress. He would have been better off criticising British economic policy which exploits the resources of Africa, he would have been more honest if he told young black people to fight against these injustices rather than each other, but instead he took the easy road while avoiding pointing the finger at the people who really stand against human progress. This entry was posted in Religion and tagged Archbishop John Sentamu, Black History, young black people. Bookmark the permalink.